Dear reader we have discussed about different durability factors of concrete in the blog. In this post we will discuss about erosion of concrete. 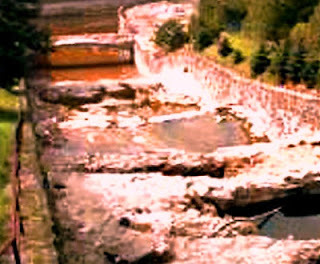 Erosion is one form of wearing of concrete that is observed in contact with flowing water. The water body that results erosion may carry solid particles which leads to serious erosion to concrete. The concrete quality, especially in surface zone is very important to resist erosion of concrete. We will provide factors and ways to control erosion in the very next post. Like abrasion the resistance against erosion is also related to the strength of concrete but mix composition of concrete is also vital. We will discuss this later. 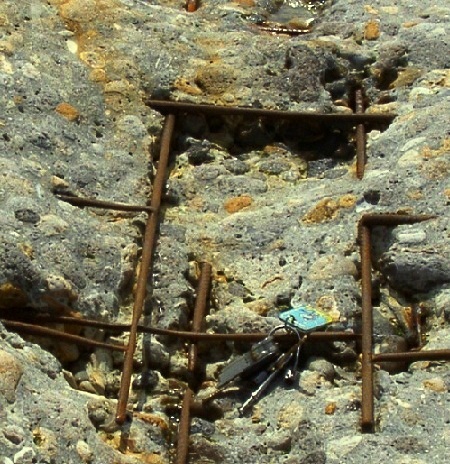 Erosion is a mechanical damage of concrete which is frequently associated with corrosion. Marine concrete is the ideal example of such damage. With this corrosion effects, erosion is happened when mechanical damage to concrete is occurred by the waves of water with gravel and sand carried by them. Sometimes crystallized salt takes the part of impacting from carried particles. Dear reader we have published many posts regarding durability of concrete which include concrete cracking, concrete durability in marine environment, different repair options for concrete, ferrocement, chloride corrosion facts and fibre reinforced concrete in corrosion control perspective. You are invited to visit these posts; we ensure that you will have valuable information from these.